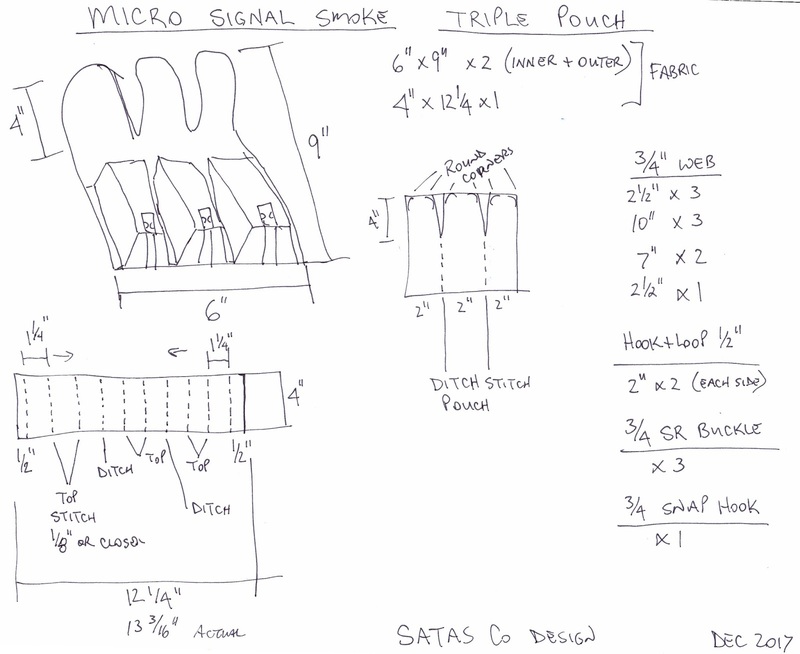 May I introduce the Micro Signal Smoke Grenade Triple Pouch, designed by SATAS Co. 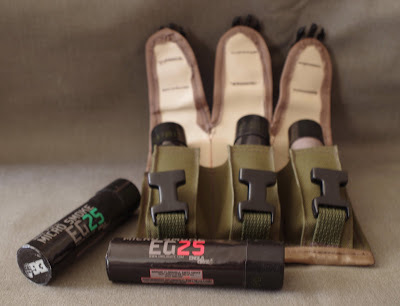 This pouch like the single pouch is designed to carry the EG25 Micro Smoke Grenades from Enola Gaye ( Enola Gaye . Com). A more tactical colour spectrum for this build, but it seems to work. 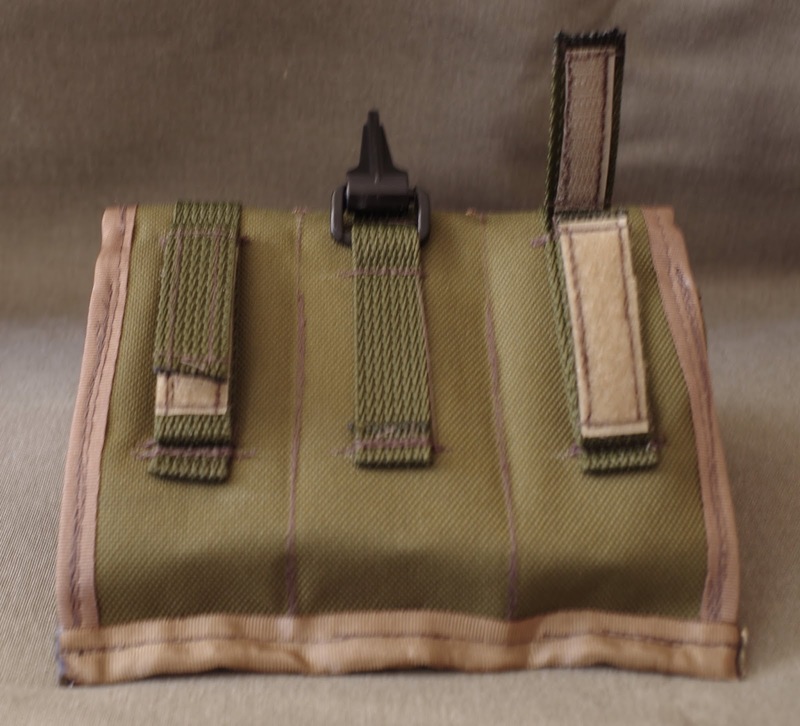 A bit more webbing was employed to allow more options for attaching this pouch to a wide variety of gear - packs, vests, vehicles &/or clothing. 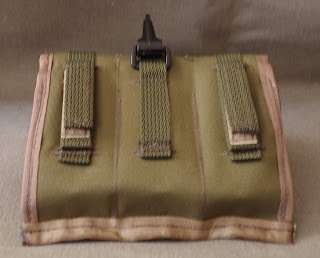 A 3/4" snap hook was also added for quick attachments to gear or clothing. It is a bit trickier making multiple pouch flaps from a single piece of material, but it is possible. Patience when sewing really helps as does a pair of locking forceps to allow for something solid to hold on to when the sewing gets tight. 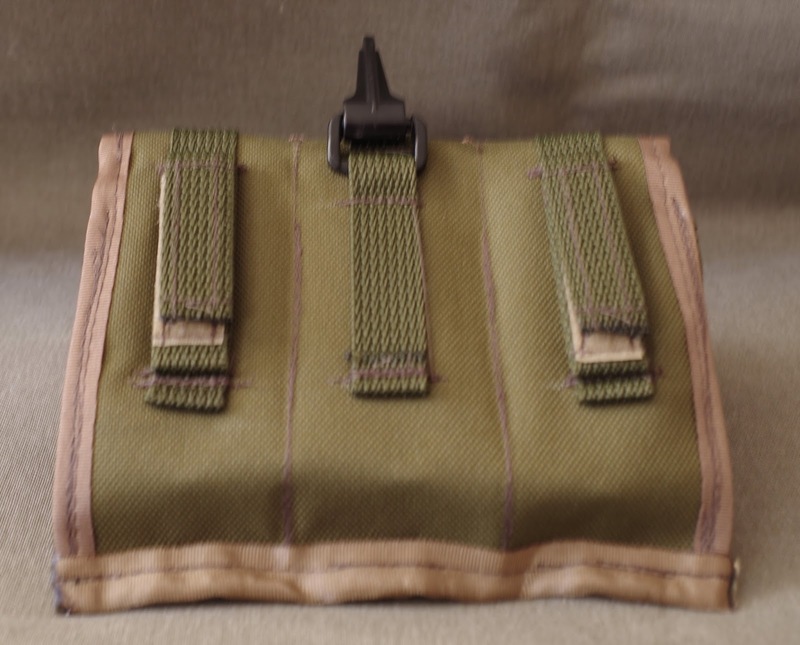 The making of the pouch is improved by doing a very thin top stitch seam to define the pockets the grenades will sit in, thus we start with a ditch, then two top stitch seams followed by a ditch and this pattern repeats. The ditches are sewn to the back piece of fabric. I usually just work my way across the pouch - edge(ditch), ditch, ditch and finally the far edge(ditch). Then I close the bottom. 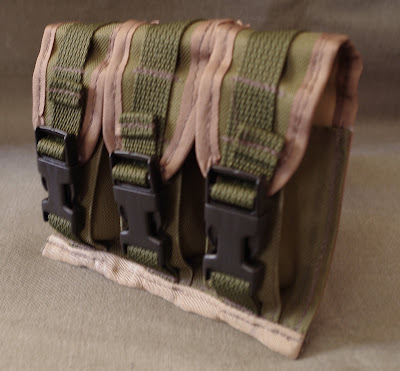 Be sure to centre the side release buckle before closing the bottom. Finish with seam tape. Burn all lose threads and ends of webbing or seam tape. This will allow your project to last a few years more. 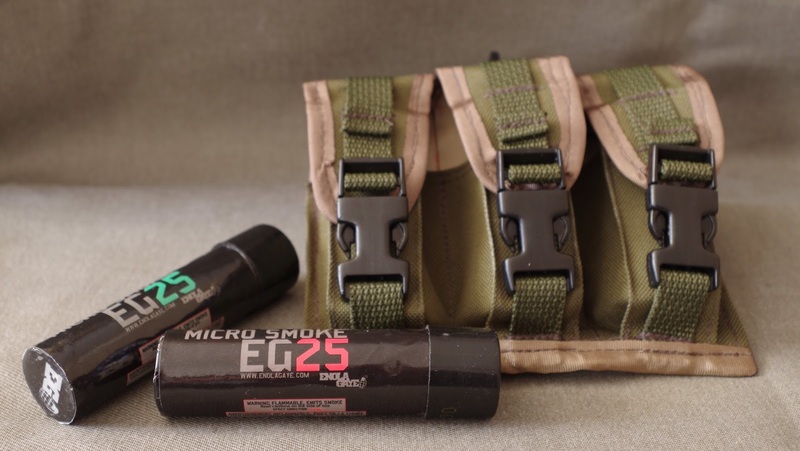 As the triple smoke grenade pouch is wider than the single pouch, I employed two belt loops that close with hook & loop tape. Although, there is minimal weight to deal with, the wider pouch will be more stable with two contact points. As you can see from these photos the snap hook was mounted in the centre to allow for quickly mounting the pouch by just clipping it onto a pack, vest, jacket or an ATV. Until next time.....buy good kit and make anything you need to make it better!! GRPS, Thank you for posting a link to your site on my Blog. I have checked out your site and the prices do seem very good. Only, one question: is your company located in Canada?? I do not know your company, but for now I will leave your link as my readers may find it helpful. If, any of my readers notify me that they are not treated well by your company all your posts will be removed.